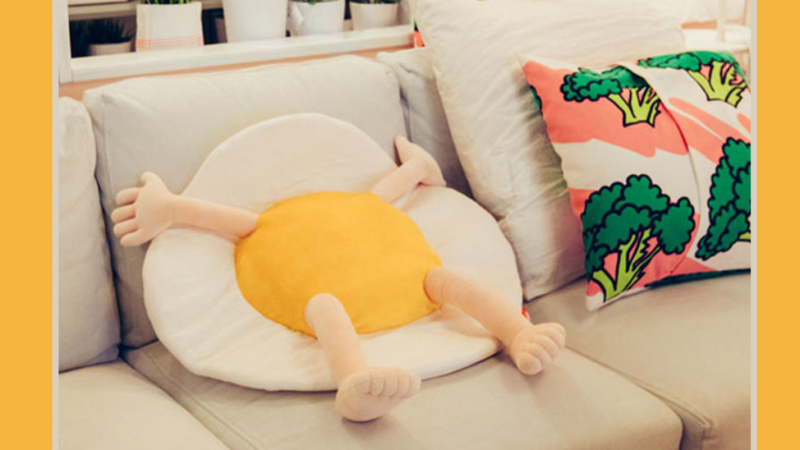 You will love this weird and wonderful poached egg cushion because it is so unusual. This would be a fun idea for any area where breakfast is served because it is sure to be enjoyed. Create a sunny morning area by adding other accents of yellow to the room. Some plain yellow cushions or a vase of yellow flowers would be perfect. This is such an unusual item that is certain to stand out wherever you use it. 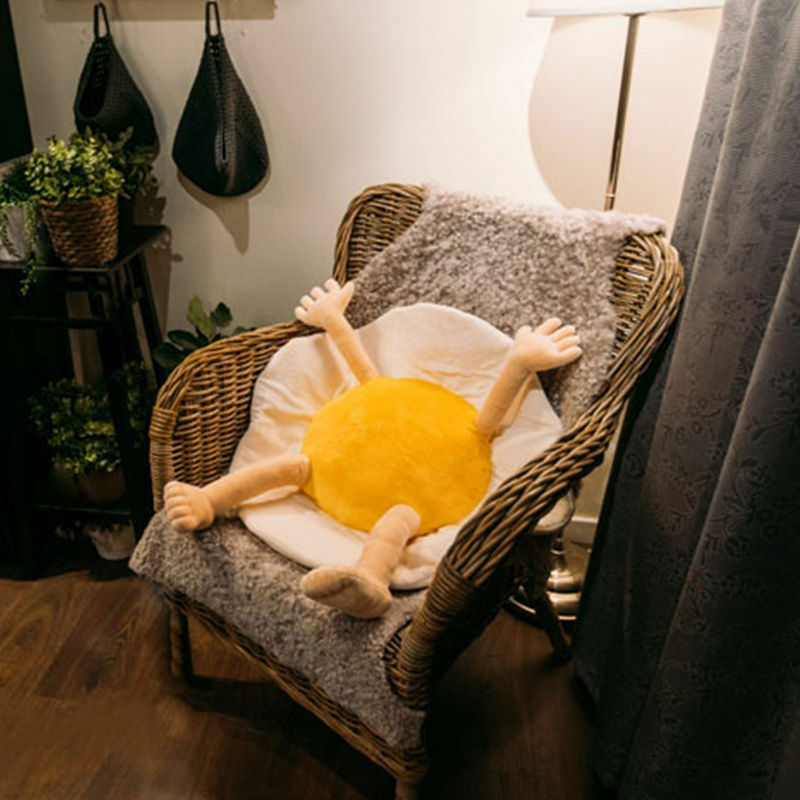 The cushion measures 60cms in diameter. It is designed to be decorative but you can, of course, use it the same way that you would use any other cushion. Use it to rest on or to help you sit more comfortably when needed. Use it to add some character to any seating area. Display a few of these together or team with other cushions that feature prints of food. This is a bright, fun idea for a childrens bedroom or playroom. If there are other bright and interesting items it will fit in nicely. A very unique gift idea because you can be almost certain that the recipient does not have one of these. Certain people are very difficult to buy for because they seem to have everything already. If you enjoy checking out weird and wonderful products you may also enjoy the following cool items. Bogey Man Egg Separator Makes Baking a Good Laugh!